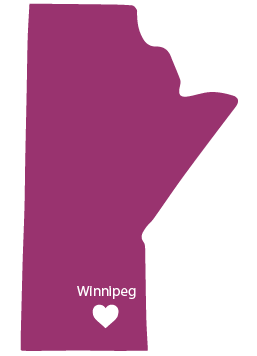 The MGLE German School (Manitobans for German Language Education) is a German language school located in Winnipeg, Manitoba, Canada. In the tradition of a Saturday school we offer German classes to native and non-native speakers from Kindergarden to Grade 12. Our mission is to provide a superior educational experience based on cognitive, creative and social learning skills. ​Our students will gain a genuine understanding of the German culture, traditions and 21st century life, in a friendly, safe, and open atmosphere. The German Language School teaches all aspects of the German language in speaking, reading, writing and aural/oral comprehension. Students are prepared to communicate effectively in German, use correct grammar, appropriate vocabulary, standard orthography and correct pronunciation. ​In addition, cultural, geographical and historical topics appropriate to each level are an integral part of the curriculum. Kindergarten classes are fun! We allow our youngest students to learn German in a playful, interactive and flourishing learning environment. High school students can obtain high school credits. We prepare our students for the Sprachdiplom 1 and 2. Conversational courses for Adults at various levels are offered on Thursday evenings at Kelvin High school. The primary focus of our courses is on developing students' communication skills in everyday situations. Our native German-speaking teachers make the study of German an enjoyable experience. Our students vary widely in age and come with different language backgrounds, abilities, and motivations. ​Therefore, our curriculum is designed to accommodate these differences, and we take great care to assign students to those classes that will give them the best learning opportunities. ​The age span in children's classes seldom exceeds two or three years. All language classes are conducted in German. ​As students learn the language, they will also become familiar with social and cultural practices in the German-speaking countries in Europe. How many weeks does a school year have at the MGLE German School? On what day do classes take place? Students meet for classes on Saturday morning at 9.00 am. For more details, check out our school calendar. At what time do classes take place? Where is the MGLE German School located? We are located at the upper level of the Kelvin High School, 155 Kingsway in Winnipeg, Manitoba, Canada. Free parking is available.